Did you go into business for yourself with dreams of setting the world on fire, making your mark, and earning more money than you ever did before? Or perhaps you are thinking about it? The sad fact is many of you are, or will be, offering the same product and service that hundreds, if not thousands, of others do. If you have started already, you have probably realized you’re fighting in a crowded market to get noticed and constantly discounting prices to win clients. You may already be thinking people don’t value—or take into account—the time it takes to do what you do for them. But is this really true? Is business really that hard? How is your product or service different from everyone else? What customer group do you offer the most value to? How have you crystallized your message to be easily understood by your ideal client? How do you get your ideal clients to notice you? What do you say when they do? I’m sure you have a basic answer to each of these questions; however, do you really know? For many, the message is jumbled, confused, and for some, the message is conflicted between several great ideas. The hard truth is that if you don’t know these five answers to pinpoint accuracy, business life for you is going to be one hard road. Your days will be filled with uncomfortable hard and pushy selling, ruthless negotiations based solely on price, small profit margins, and losing clients to competitors that may ridiculously charge more for less. Even going to expensive PR, SEO or lead generation companies for assistance will bring you little additional success, as without these five answers, there is only so much they can do. The good news is you’re working much harder than you need to. So how do I get more customers, easier? This is exactly why Matthew Pollard has created the “Get More Customers Program,” a combination of three of his most powerful “Rapid Growth Coaching” sessions that are designed specifically to get you on the path to rapid growth, success and high profit customer acquisition, FAST! Each session is two hours and builds on the ideas, realizations and decisions made in the last. Never be a “me-too business” again – Finally separate yourself from the pack with a unique and unified message that offers long term sustainability. If you do what everyone else does, you have only price to compete on. Conversely, people will happily pay more for products or services they perceive as offering a valuable unique benefit that they can’t get elsewhere. During this session, Matthew will help you break down all the things you do in your business into one unified message congruent with your history and expertise, discover your product or services unique point of difference, and derive the unique benefits customers will receive. Want to know more? Take a second to listen to the Rapid Growth Guy, Matthew Pollard, explain in more detail during his interview on, iTunes Top 100 Podcast, Conversations with a Genius. Speaking to everyone is speaking to no one, and it’s expensive! Binge marketing – a reflex action caused by the loss of a client or the realization that they are nearing the end of a long-term engagement with nothing else in the pipeline. Scatter gun marketing – Advertising, networking, search engine optimization, pay per click, etc. with no real strategy, focus or structure. Are you a PR or SEO company? – Click here, to see how getting your clients to undergo this program before you start with them will help you get better results and better retain them as clients. These strategies tend to lead to poor results, peaks and troughs in client acquisition, and incredible stress, due to the associated fear of an unknown future. Imagine selling to a market of willing-to-buy customers who love your brand and the product or services you provide. I know this is hard to believe, but there are always one or two unexplored markets ready to be capitalized on. During this session, Matthew Pollard will help you distinguish which markets will most identify with your new unified message (created in session one), discover where to find customers from these niche markets, as well as help you position your new message in the minds of your new niche target customers in a way that impulses them to contact you and buy. Want to know more? Take a second to listen to the Rapid Growth Guy, Matthew Pollard, explain in more detail during his interview on the CoachZing Show. Let’s face it, the best unique message and niche marketing strategy in the world is useless, unless you can convert it into money in the bank. Unfortunately, while many people spend years perfecting their functional skill, they tend to spend little to no time at all perfecting how they convert customer interest into sales. During this session, Matthew Pollard will focus on your sales system to ensure the best possible customer encounters every time. After this session, you will know what to do when a customer calls you, how to better gain interest from an email enquiry, how to discuss what you do at networking events in a way that engages listeners to ask questions as well as, perhaps most importantly, implement strategies to increase your price and sales opportunities. Want to know more? Take a second to listen to the Rapid Growth Guy, Matthew Pollard, explain in more detail during his interview on, iTunes Top 50 Podcast, The Engaging Brand. Does this sound like the three sessions you need to take your business to the next level? Most business coaches focus their sessions on personal development, building better systems, reducing costs, and increasing staff productivity. Matthew, himself, focuses large amounts of time with clients on these very same concepts. They’re all amazingly helpful, and, as a business owner, to drive your business forward, you should embrace them all. Unfortunately, most business coaches spend little to no attention on the sales system and marketing strategy for the business. The cold, hard truth is that these four magical words are probably the most important to your businesses survival and growth, yet they seem to receive little to no attention. The fact is that the majority of business coaches are not differentiation, niche marketing, or sales experts; they may even struggle to find clients, themselves. This in no way dilutes the ability of the business coach to help you create change in your business, overcome obstacles, and grow your business with frameworks that hold you accountable. Differentiation, niche marketing, and sales, however, may not be their core competency. Only a true sales, marketing, and business expert can help you create a unified message that’s congruent with the product or services you provide and tap into new markets and increase sales conversion, while still helping you to streamline and systemize your business. If you really want to take your business to the next level, you need a coach who is a sales, marketing, and business expert. As a business owner, you shouldn’t settle for anything less. Click on the button below and learn how Matthew can help you today! Perhaps you have considered Public Relations (PR) or Search Engine Optimization (SEO), or maybe you own a PR or SEO agency? Here is why you or your clients still need to do the “Get More Customer Program” first. The fact is SEO and PR are fantastic ways of getting more customers; however, in many cases, SEO and PR clients terminate their agreements with their provider, suggesting that they are not seeing any results. So if PR and SEO work so well, why is it that many arrangements fail? Let’s start by looking at a PR example. Many people agree to move forward with PR as they see it is their ticket to success, unfortunately, in many cases they don’t yet know who their ideal customer is or what they offer the client that makes them unique. This forces the agency into focusing on a broad-based campaign, i.e. speaking to everyone whilst really speaking to no one. It isn’t that the PR agency isn’t working hard for their client, they have just been given an almost impossible task to achieve without months of work and a budget the size of Coca-Cola. What makes this worse is that these clients, while wanting more customers, generally have little to no system to track where customer interest is coming from or to convert this interest into sales. Either way, this results in their view that they are getting little from their PR investment. Ok, now let’s look at SEO. The story is very similar. Not knowing who the ideal customer is or what makes you/them unique forces the SEO company to “take their best guess” at which keywords you want to rank highly for. In a lot of cases this means much more common and harder to rank words. Again, this means bigger budgets and more time required for any level of success to be made, and as with PR, due to no system to track where customer interest is coming from or to convert this interest into sales, the client soon views themselves as getting little from their SEO investment. Imagine working with clients or going into a PR or SEO agreement knowing your unique message, what differentiates you, which markets you wanted to speak to and how to convert customer interest into sales in a much more effective way. Do you think you would get better results? That’s why you need to start here. 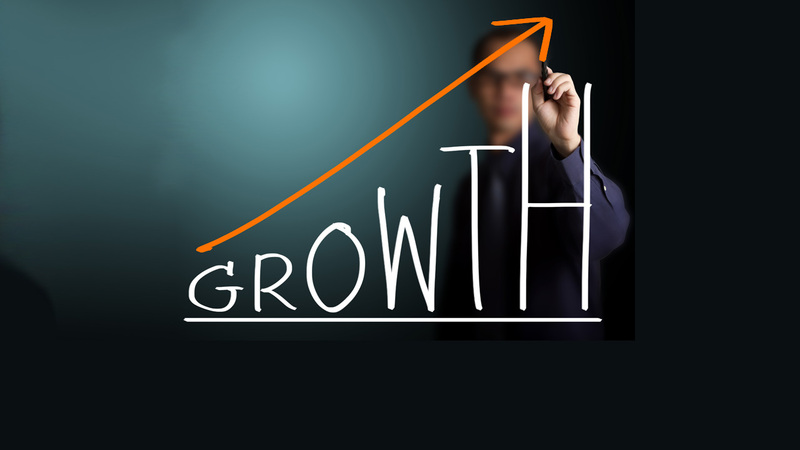 Important Note – Are you ready for rapid growth? Before you head down the path of rapid growth, you should know that it is also the highest risk stage for any business. After all, a ten times increase in client acquisition also means a ten times growth in customer complaints, product defects, paperwork issues, and more. Before you switch on the tap to making your dreams a reality, click here to make sure your business is ready. How can I get more customers by myself? Now you understand why differentiation, niche marketing and sales systemization is important; let’s look at how you could do it for yourself. Many organizations offer the same product or service, so for success, point of difference is a must. This isn’t as easy as just coming up with a fancy new name and tagline. To truly obtain an edge over your competition, you must determine what makes you unique at what you do. Which clients you get the best results for—how are they unique? What benefits do you deliver that others don’t—why is this? Only when you’ve answered these questions and come up with what truly makes you unique can you start looking at your name and tagline. Your Name – Look for something that encapsulates your brand, is easy to say, and easy to remember. Tagline – Again, remember the second C from the above Scratch test. People shouldn’t have to be in the industry to understand your tagline. Focus on including the true benefit of what you provide. For example, Matthew is a differentiation, niche marketing and sales systemization specialist; however, his tagline is “The Rapid Growth Guy.” Differentiation, niche marketing and sales systemization explains the features of what he does whilst rapid growth explains the benefit of what those features provide. To help frame this task, think about what benefits your ideal customer is looking for and why they should care about what you offer. Next, we need to find out which group(s) or segment(s) will most appreciate your unique point of difference and where we will find this group(s) or segment(s). Step 1 – List the profile/characteristics of the client(s) you get the best results for. Now that you know a lot about your ideal customer, how do you locate them? Step 2 – Where can you find your ideal clients? Think of 30 ways to reach, contact, and connect with your ideal client. Promotion – how product/services will be promoted e.g. publicity, advertising, SEO, etc. If one of these is not done properly or overlooked, then, the product/service may not sell as well as it should. Be patient; it can be a challenge to arrive at the right combination. Concentrate on setting up the selling system before employing sales people. Know the system yourself, what works, and what doesn’t, so you can train your sales and telemarketing staff to deliver the results that you want. Many people think that a sales person is the sales system. This is NOT the case. Each one of the above has been hyperlinked to a page that will better teach you how to do this. Now that you know the basics of how to get more customers for yourself, let’s discuss why doing it yourself is madness. You may have spent years educating and practicing your functional skill to be the best you can be; however, you have spent no time learning the art of differentiation, niche marketing, and sales systemization. Sure, paying for a coach to help you obtain rapid growth may be scary, and you may even think expensive, but think about what it is costing you currently not to act or to stumble through it. You may be paying for office rent, unneeded advertising, staff that are not working at optimum, as well as the substantial loss in earns you encounter each day you work in a business that could be preforming at a much higher level. Many people believe the retail industry is different to other forms of business when it comes to getting more customers. The simple fact is that retail has the same issues when it comes to getting noticed in a crowded market. Sure, they may not be able to pick who comes into their store; however, they can ensure that they send the right messages to speak to their ideal customer when they walk in. Also, many retail clerks either hide behind their counter or awkwardly approach customers and say, “Can I help you?” which can all be drastically improved. I do not believe I have read anything like this before. So good to find someone with some unique thoughts on this issue. Seriously.. thank you for starting this up. This site is one thing that is required on the web, someone with some originality! Thank you for sharing – I’m so pleased you’ve obtained value from my blog. Excellent Maglia – I’m so glad you’ve found value. Host: Welcome back to Good Day. May 4th through 8 is small business week. A time that honours entrepreneurs and small businesses across the country. Here with us this morning is Matthew Pollard, a serial entrepreneur, author, speaker, coach and consultant – with some advice for the business owners. Matthew, good morning. Matt: Morning, it’s great to be here. Host: Yeah good to see you. Matt: Yeah you too, you too. Host: So, okay, tell me first. I want these folks to get an idea. You just moved here for Australia? Host: What’s going on here with you, yes? Not been a long time. Matt: Yeah, it’s been pretty flat out, it’s been very flat out. Well, Austin’s a great town and for businesses, it’s phenomenal. So many startups, so many different events going on. So I just, I fell in love with Austin when I got here. So I moved here in February last year, and it’s just been hectic. We’ve had Google Startup Weekends. I’m about to do AngelHack coming up just– Just later on this month actually, so it’s been very busy. Host: Yeah, a busy guy. So we’re gonna talk a little bit about, and this gonna be very helpful for business owners, small business owners. This is a big week coming up for you guys. Host: So let’s first start off with something, differentiation, and why it’s an important concept for competition? Matt: Yeah definitely. So a lot of small businesses really struggle separating themselves from anyone else, and unfortunately that means they just have to continually compete on price. And it’s understandable why that is. I mean a lot of small businesses, they learn from their boss. And then when they go out and do business for themselves, that’s all they know. So they start to build out their products and services exactly the same as their boss does, and then unfortunately there’s nothing different about them, so you can only compete on price. So you’re competing against the people that taught you, plus the people that taught other people. And the only thing you can differentiate yourself is with price. And it’s a long way to the bottom, but unfortunately it just means no one earns any money. So differentiation is the only important thing, or the most important thing to separate yourself from everyone else. And yet, it’s the thing that most people don’t think about. They just want to get in and start doing the job. Host: Mate, well we hear a lot of things about differentiation, but also niche marketing. So, can you tell me a little bit about how folks can find those people for their business? Find the right target audience I guess? Matt: Yeah sure. So what it’s really about is looking for what is the unmet need in a market. So what markets are missing out on something, and if you could provide that, you’d get exponential growth. See for instance, in my last businesses, all it was about – for instance my very last business, we created a education specifically for the trade demographic. Because they hated school, and they wanted business coaching. So we provided business coaches to the trade demographic in an educational format where they could afford it. And all of a sudden, you get exponential growth. Now for a lot of small businesses, they’re competing in the markets – again, like they learned from their boss. And what it’s about is stepping out of that and taking a bit of a wider view and saying, “What markets are missing out on something? If I was to deliver that, can I have no competition?” And that’s what the answer is really to growth, no competition. Host: In order to grow their business. And we want to help you guys here, because we’re in Texas, we love small businesses. And the last point that I wanted to touch on was sales and systematisation. So can you talk about that a little bit and how they can better that in their area of work? Matt: Yeah definitely. So I think that there’s a common misconception, which is, that you have to have the gift of the gab to be able to sell. And it’s just not the case. Obviously people that are natural extroverts are gonna be better sales people at the start. Just like in university, there are some people that are better naturally in year one. But it’s the people that put the work in that do better over time. And unfortunately with sales, ’cause it’s not taught in school, most people don’t realise that. So sales is just like a system, just like anything else. So if you spend some time understanding that there are milestones and steps in the process, and you can learn it almost like a script. Then you can go out and speak to people and feel much more comfortable doing so. And for the introverts out there, which I was. I had a reading speed of a sixth grader when I was in late high school. I was a very introverted kid, and I had to learn those systems and those processes, just to be able to communicate with people. And I found that I went from 93 doors before my first sale, I was a door to door sales person. To all of a sudden, I was the best in the nation within a series of weeks. Because I actually researched it and did the work, where most people used an excuse, “I don’t have the gift of the gab, therefore I can’t do it. And now I spend my life teaching other introverted people how they can actually be better than most people with the gift of the gab, just because they know all the systems, they know the processes. They’re gonna be better on every single day, as opposed to the gift of the gab who – you know that when they have a good day, they’re really happy. But if they have a fight with a family member, then all of a sudden they’re not on and their sales slump. So it’s about creating that consistency. Matt: Yeah definitely, so you can find me on my website, which is matthewpollard.com. You can also listen to my podcast, which is Better Business Coach Podcast. You can find that on iTunes. But also I’ve got some events coming up in town. So I’ve got AngelHack that’s coming on later on this month, and also there’s a Google Startup Weekend for education coming up in early June, and I’m a judge for both of those. So if you’re a new starter and you obviously want to be able to get some advice, and want to be around a community of entrepreneurs like yourself. You can come along to those events and get some really good support, pitch coaching and some critique from people that are skilled – just as skilled as myself. Host: Well thank you so much Matthew for coming and talking about small – US Small Business Week, that’s happening this coming up week. And welcome to Austin. Host: I know that it’s pretty new to you, so welcome Matthew. But we expect to see you back on the show. But thanks so much again. Matt: You’re more than welcome, thanks for having me. GN: Matthew, please say hello to Genius nation. Matt: Good to be here. GN: Walk us through a day or week in the life of Matthew Pollard. What do you do? How do you help people? What do you like? What do you hate? What’s going on? Matt: Well, you talked about the fact that I’m a niche marketing, differentiation and sales systematization strategist. And thank you for trying to get through that. I call it “Rapid Growth Coaching.” Because we talk about your listener-ship, and they’re all people that have got businesses and got careers of their own. And they’re in that 6 figure marker post, but they want that rapid growth for themselves. The thing that they struggle with is getting a swell underneath their customer base. And a lot to do with that is that they don’t have a unique message. They’re trying to do so many things, or be everything to everybody. So what I really do is I focus on helping them create that unified message. Stepping away from – for instance, for myself, sales niche marketing and differentiation – and just calling it “Rapid Growth.” I did that a few years ago and it made such a difference to how many customers I got traction with. Because people just identified with that message. GN: Coach me up. Like let’s talk about, pretend I was a, I’m gonna think of the most ridiculous thing. I’m an electronics repair guy. So if your TV’s broken or anything electronic, you bring it to me, I’ll fix it. And I want your help, and the first thing you ask me is, “Well, who do you serve?” And I give the uninitiated answer, which is, “Everybody’s my customer.” If you own a piece of electronics, I can help you. Coach me through how to get that, that bad thinking on how you’d get me into somewhere profitable? Matt: Well the truth is, that’s a wonderful message. Because you do help a lot of people, and everybody’s got electronics. So that’s a great thing to do. Unfortunately, there’s also a lot of other people doing that. So if you’re a person that fixes TV units, VCR’s, mobile phones, whatever – then you work and you supply something to everybody. But you really speak to nobody. And that’s the real problem. Because in a saturated market full of lots of competitors, if you speak to nobody as the people that rally to your cause – then you have to spend all your money marketing, and you have to continually go out and look for new customers. And you’re always fighting, just based on price. So what we really need to do is, we need to pull that back. And the real question is, “What do you really specialize in? Who is the group of people that you get the best results for?” And what you’ll find is that there will be something specific. For instance, if you’re an electronics repair person, you might have an absolute knack for fixing a television or for recovering data out of hard drives for instance. I mean I know a lot of computers will die. I had a hard drive that died a few years ago, and I spent several thousand dollars just recovering the data. Because that was before Cloud based backup. And I didn’t know. I looked for a bunch of different places to try and, to fix that hard drive. And everybody just said to me, “Oh yeah, we’re a computer repair company.” And I Googled it, and I couldn’t even find back then a company in my area that specialized in fixing that problem. So there’s a delicate balancing act between the things that you do really, really well and the niche markets where you can speak to an audience where there’s very little competition. And generally what I do is I sit down and I, I first try to understand what a customer’s true goals are. And what a customer’s “why” statements are. See, if you don’t know what their goals are, and you don’t know why it’s important to them, it’s very hard to find their unique message. So what I do is I get them to write down, using a smart goal criteria. And most important it’s specific, measurable, and time based. So what are the goals they have, and set a time frame for how to actually achieve those. That’s just a preliminary worksheet so that people can write why it’s important to them. And generally you’ll find when people have to write the “why” statement, it’s all people trying to write what their mom, their dad and their drunk uncle instilled in them that was important. It’s not truly important to them. So I find they rewrite those goals many times. Then what I do is I get them to write a customer profile of who their best customers are. Who they make their most money off, who they get their best results out of. GN: How do you find that? How does – so if we’re writing that best customer profile out there, is that data based, or just kind of by what I feel? Or how do you put that together? Matt: So, it’s interesting. A lot of times you’ll have a customer that you just know you did really well for. And you’ll talk about them in stories. You’ll talk to your friends, you’ll talk to your family. And they’re also ones that you know you make really good money out of. See, I had a language school just recently, and they do a lot of teaching Mandarin to lots of students. And a lot of them are young, others are adult learners. But then they were making a lot of money out of just a few entrepreneurs and high level CEO’s that needed to do business in China. And they were saying to me, “I don’t know how we can compete against all of these bargain basement language schools that will provide the same level of skill sets that we give them, at a much cheaper price. And the answer was, that they were focusing on the wrong thing. The experts, the CEO’s, the entrepreneurs that knew they were gonna make a huge amount of money over in China, were the ones that they were truly getting the best results for. Because they didn’t provide the same level of service to that group of people. They talked about so many other things, like – how to get rid of the accent, how to focus on eCommerce over in China, how to create relationships with Chinese individuals. And we migrated their name from the Beijing Language Academy, to China Success Coaching. Matt: And all of a sudden, like creating that name, people went, “Oh now I know what you do. You help people get success in China.” It wasn’t about creating a Mandarin skill, it was about making them successful in China. That simple differentiation in an industry that there’s thousands of language schools, made a huge difference to their growth. GN: And I love what you did, is you kinda changed it from, “We teach language.” But very few people just want to say, “I speak Mandarin.” They just don’t. They want to do business there. They want to travel there. They want to – there’s a reason. So I love the concept of “We’re not gonna sell speaking Mandarin, ’cause that’s not really what they’re buying. We want to sell – starting a business in China, traveling to China. Whatever the goal is, and I think that’s got a tremendous amount of value versus just “Learn to speak Mandarin.” Which I, and everyone else has that exact same message. So A, it’s a terrible message. B, you’re competing with 1000 people. So I love what you did there, it’s a great example. Matt: Well it was funny, because every client I have tells me that it’s very hard to compete in their market space. And then, they write me their goals, and it’s got nothing to do with the market space that they’re struggling within. Then they write me their customer profile and who they get their best results from. And yeah, this is high level coaching that they provide me well before we start our first session. It’s like a task I set them. And as soon as I read through it, it just clicks to me that they’re working very hard to get customers in the wrong space. They’ve got the wrong messaging, it’s not a unified message, nothing’s working. And once we change that, we get such different levels of success. We create that rapid growth behind their product and their name. Matt: That’s exactly right. And I constantly have people that are just focusing on the wrong thing. They’re working really hard, they’re just – as you said, their ladder’s up against the wrong wall. And we just need to pick it up and move it across. And people say, “That industry’s really established.” I mean, I’ve had businesses in telecommunications. Businesses that I’ve grown myself. In education, where we became the number 1, fastest growing school – in a market that was completely saturated. And people said you could only get a few hundred students in the first few years. We got several thousand. We got 3 and a half thousand, including some of the major sporting teams – which would never go with a school like us, without that unified message. GN: Well then also, I love that example of what you said about – there’s the business owner that’s trying to do business in China, has a bunch of needs that aren’t– The foundation might be Mandarin, but – how to do business, how to offend people, how not to offend, what does the culture look like? And not only is that something good to know in your marketing so you don’t say, “Hey, learn Mandarin.” You say, “Learn how to succeed in business in China.” That’s different, but now you’ve got a bunch of products. You might have only been selling language, but now you can talk about – I know Japan’s very big on how you conduct business. And you have to hand your business card to them in a very certain way. And if you address somebody improperly or don’t hand your business card – there’s a lot of ways to upset people, or look like a stupid American or stupid Australian or wherever you’re coming from. So I think A, your marketing message change. And then B, all sorts of extra markets open up where your customer might have only been willing to invest $1000, or $500 if you’ve got the wrong customer. This business customer might say, “Well I’ll spend $1000, or $2000 or $3000 to learn the language. And I’ll spend 5 or 10 thousand to learn how to do business.” So I think, there’s just, there’s a lot of synergy going on when you’re really, really targeting who you’re helping and how you want to help them. Matt: Look, it makes such a difference. I mean, somebody that says, “I’m willing to pay $80 an hour as a premium service to learn Mandarin.” Compared to, “I’m willing to do the China Success Intensive. Which is $30 000 to move me and my family across to China.” Because a lot of these CEO’s, and a lot of these executives that have to go to China – they’ve got to bring their wife or their husband and their kids. And those people are terrified about going to this place that they’re not gonna be able even communicate with anybody. So by creating this unified message, what you start to find is different products start to pop up. Different benefit propositions start to pop up. And all of a sudden, if you’re adding a zero, you might be able to add 2 zeros to the back end of your price – charge it as a package. Everything becomes easy, because you’re not doing everything like everybody else does anymore. Don’t need to charge per hour. All of a sudden you can charge in packages, you can charge for outcomes – as opposed to competing on a price. Which is what everybody has to do if they don’t have a differentiated message. So that’s the start of the process. I have this terminology where I say, very similar to that movie, “Build it and they will come.” That’s what lots of people in business think. They have this functional skill, they’re very, very good at it. And they say, “I’ll build a business,” or, “I’ll become a consultant. And all of a sudden I’m going to be rich. Because now I can charge ridiculous amounts per hour, as opposed to working for an employer, and just getting paid a salary.” Unfortunately, they don’t work out what the unified message is, how they’re going to speak to that audience so that the audience of new customers rallies to their cause. They just open up the front door and expect the phone to ring, and people to walk in the door. And it just doesn’t happen. So the build it and they will come mentality just is incorrect. Their service, their product is probably fantastic. But without a little bit of homework, they just won’t get the success. And they’ll think customers don’t appreciate how great they are. It’s not that, they’ve spent no time trying to get that appreciation. GN: Yeah I think it’s the difference between saying, “I love speaking Chinese, and I love teaching people Chinese – therefore, people will pay me to do Chinese.” Versus, “Hey people looking to do, to learn Chinese, what’s going on? What are your needs? Where are you at?” And it’s so much easier to find out what the – ask people what they want, and they go, “Well I really want to learn how to do business in China.” And then sell that to them instead of saying, “Well I want to Chinese, so that’s what you’re gonna buy.” You can do it, but good Lord, it’s a lot of work. Matt: Look, exactly right. And I’ve had clients of mine, before they’ve started with me, that have decided that a lot of people don’t have the money for their services. So they start to put their price tag on their website, because they don’t want all these people wasting their time. And as soon as we’ve crafted this unified message, and allowed their website traffic to start to read these new messages, and taken off the price – then all of a sudden they’ve got people calling them. We’ve worked on their sales scripts on the phone so that they can transition people in a much more professional and structured way. All of a sudden, these clients are paying money. What was the difference? They convinced themselves that they had to compete on price, and they weren’t willing to negotiate past a certain price level – so they put that on their website. But people hadn’t identified with the unified message, people didn’t understand the complete benefits of the product. They see the price, and they click off. So businesses get themselves backed into a corner, and I’ve seen tradespeople – and I’ve done a lot of work with tradespeople as well that won’t even come out and quote you. They want to quote you over the phone, they want to talk about their products and services over the phone because they’ve just – tired of wasting their time quoting. Because they go out, they spend all this time quoting, and then the customer won’t go with them. And they won’t go with them, because they haven’t given them a reason outside price – and they probably weren’t the cheapest. For me, I don’t want to compete on price. I provide a service that gives people outcomes, as opposed to walking in the door and saying, “So what do you want me to coach you on today?” A lot of coaches do that. And that’s what my podcast is about. Trying to get people out of just doing that as a business coach. GN: So give me – I don’t want to beat this to death, but the first example’s so good about, “Hey, we teach Chinese to whoever wants to learn, and we can’t – we’re trying to struggle at 80 bucks an hour,” or whatever rate they were getting. Turning into, “We’re gonna teach business people how to integrate into China.” That’s a great example. Hit me with one more before I move on, or hit Genius Nation with one more example like that before I move on. Because I really want them to be able to do this. I don’t want the, “Well I don’t have a Chinese language, so it won’t work for business.” Hit us with 1 or 2 quick examples so they can kinda start get their creative juices flowing. Matt: Sure, what I’ll do is, I’ll give you 2 quick segues. One was telecommunications, which was my first business. And what I realized, and you guys have – in America have got that happening at the moment. You’ve got all these new carriers providing all these different cell phones. And they’ve got all their coverage maps, and it’s confusing. But you can get it really, really cheap. Unfortunately, the service that you used to get – where there was only 1 company, has considerably gone down. And this is what happened in Australia about 10 years ago. We had one carrier, and you could get great service, but it was very expensive. Then all these new entrants made the prices cheaper, the 1 major company started to lose all their customers. And they started to reduce their prices, but then they had to reduce their service as well. And what I realized is that, there were 2 things that happened. There was a group of customers that missed having quality service. And there was a group of customers that were so confused by all these companies that were out there, they had no idea which company to go to. So what I did, is I opened up a brokership. And the brokership focused on picking the best telecommunications product for each individual client. And the second thing that we focused on, is we managed all the customer service for the client, so that they didn’t have to go to the telecommunications company. And what we did, is we told people we were an independent broker that focused on service and savings, and we only worked with businesses. And when we did our telemarketing and we did our messaging out to an audience, people said to us, “We’ve been dying for somebody like this. Because realistically, we liked the old fashioned way of just getting good service. But we appreciate the savings, however now we can’t get good service from anyone. You guys come out, you make telecommunications simple, and you provide the service element as well.” And that was in all of our messaging. In my last business, that was a school. And there were thousands of schools. There were over 1000 schools just in the small state that I lived in. And what we did, is we realized that there is a whole non-professional industry of people, and all of these people hate school. They don’t like school. You’ve got the, the people that have got degrees and Master’s degrees – and they all go to Universities for higher level education. And they’ll always be doing these certificates and diplomas and associate degrees. For the people that were non-professional that didn’t like school, a lot of these people were entrepreneurial. They left school at year 10, because they wanted to create a business. They were energetic, and they were impatient, and they wanted to just get out there and do it. What we realized is these people didn’t have business experience. They may have gone and worked for someone, and then decided to start in business for themselves. And they didn’t have any management training, they didn’t have the sort of skills required to be a successful business. They were just good at their functional skill. So what we did, is we created a business that solely focused on business training. So while all the other schools had 200 qualifications, and spent all their time trying to sell all 200 – we had one. And we sold ourselves as a business school that offered business coaching training, as opposed to teacher based training. All of our trainers were business coaches, not teachers. And our primary sales pitch was, “Our coaches have been there, done that, had success, and are still out there coaching other organizations how to be successful. 95% of our customer base is business owners, and we teach people how to do it better. As opposed to a teacher, who teaches – who’s probably never really even done it themselves. They’ve just got a qualification, done their PHD, and now they’re teaching it without ever actually doing it themselves.” And that’s why we went from zero customers to 3 and a half thousand that quickly. And businesses just thrived under this. We picked up The Law Institute of Victoria. We picked up all these major medical institutions. We picked up our national sporting teams, Olympic teams. Even the players of our major football team, your equivalent of the NFL were all studying with us. And these are premiership teams. People that were actually winning the competition. And it was all because this one message spoke to a group of people, and the energy that that created got us recognized by so many other demographics. We focused on supplying that 1 message out to 1 audience, and then we grew from there. And that’s how rapid growth occurs. GN: And I’ve gotta say, so action item. Your homework, Genius Nation is, ideally get a coach that kinda knows what he’s doing. But if not, at least get some people that you trust that know business outside of your industry and go, “Okay, help me re-look at my industry.” ‘Cause I think we get so stuck. And if I owned a school, I’d be like, “What can I do? There’s 1000 other schools out there. We’ve got to do this to be accredited, and that to be whatever.” And just not focus on what my people want. And just to pick out a little niche of – like you said, people that want to learn how to do business, but they don’t like school. The messaging to that person or that group of people is a lot lot different than, “Get your diploma, get your credits, we’re qualified.” Like you can’t just – just like you said, “You can’t compete like that.” So Genius Nation, your homework is, find someone outside of your business to help you take a new look at really the result that your clients get for working with you, and then change your messaging. And really like, like you said, get down exactly the best piece of it, and just talk to that market – your best customer, not your worst customer that you feel like– ‘Cause a lot of times new business owners are like, “Oh, somebody wants to bring me money, I’ve gotta take it.” And then 5, 10 years down the road, they’re still doing that, when it’s not the case. Feel free, if you’re a school – to eliminate the kid wanting to travel to China after college who doesn’t have any money, and just serve the people that have the money. Matt: That’s exactly right, and if I can add to that, don’t be afraid to call your best customers, the ones that love your service, and ask them, “What the unique benefit that you provide is that makes them continually come back?” They’ll probably tell you what your unified message is. And then it won’t take you anywhere near as much time. Working inside your business, sometimes you just don’t see it. But asking your best customers, they see it, otherwise they wouldn’t be working with you. GN: And flip that coin around too and go, “What’s the big pain that I solved for you?” ‘Cause when you write marketing material, it’s good to be able to like, “Hey, here’s a real, true benefit you’re gonna get.” But people will work so much harder to avoid pain then they will to go to please. So find out what the big pain you’re creating when you ask them not only, “Hey, why do you come? But what would happen if we didn’t do the work? Is it that big of a deal?” And let them go, “Oh my God, if you guys didn’t show up, this, this and this.” And that’s the message that you want to share. GN: That’s a great point. Okay, so it sounds like we’ve talked about a ton of good successes and how this looks, right. Let’s hit a couple of failures either for you or your business where you just took a huge swing and an absolute miss. ‘Cause I find like that’s where we can kind of get the most knowledge. So talk about a failure where you tried something, you thought it was gonna be the best thing since sliced bread – and it absolutely didn’t work. And then more importantly, what you learnt from that experience. Matt: So I guess for me, everything’s been about testing. 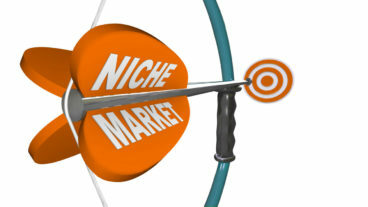 I stumbled across differentiation and niche marketing. And this was all accidental. My first business became very, very successful very quickly. And the thing that occurred to me is, “I’m gonna be able to continue and ride off this 1 thing for the rest of my life.” That’s not true. Marketing life cycles, which is something I learned while studying for my MBA, which I did much later – taught me that this changes. So for me, I created a multi-million dollar business, and that was great. However, other people started to copy. That’s – the biggest compliment you can get is when other people start to copy you. Unfortunately all of those unique benefits that you provide, other people start to message that, and the market becomes crowded. And in my first business, my telecommunications business, I didn’t notice that that was happening, I didn’t feel that I needed to change. And sometimes when people copied, I even got upset about it. And as a result, my market share started to slip. The things that I learned from that is that even though you create a rapid growth message, or a unified message that really gets that swell in customer base that you’re looking for – even though I had a niche of customers that only I sold to, and I had a sales system that worked for them. 12 months, 18 months down the track, that changed. So you can’t afford to rest on your laurels. You have to continually readdress, “What is our unique message? How are we expanding that? Which audiences are we speaking to now that we’ve capitalized on this? Which niches am I focusing on, and what does my sales system look like now?” These are, the lessons that I learned when I was 19, 20, 21. For a lot of people that are very, very new to starting their own businesses, don’t let this become a surprise to you, that hurts you and your family. Work straight away on making sure that each one of these things, you’re constantly vigilant of. And you won’t have any downturns in your business and your future. GN: Yeah, I think that, I hate to say it ’cause it’s not – it’s not fun advice. But that constant vigilance is really a big part of being a small business owner. Matt: What I do is, I set a calendar reminder every 6 months to look at what’s happening. And I set myself, I’ve got 4 worksheets that I use, and these are all ones that I give away in my podcast. And some of them are already released, others will be released over the next few months. However, what I do is, I set myself some homework, and I literally sit down and go through a set of worksheets. And even though I teach business coaches, it’s sometimes really, really good to have outside perspective. So I have a coach then look at my answers, and then provide me feedback as well. So I set it as once every 6 months. I do this homework, and as a result of doing this homework, I find that I’m almost bulletproof, because I see everything happening. Without setting that reminder in my calendar, it might be 7 months, I might push it to 9 months, I might push it to 12 months. And then all of a sudden I get hit, and I’m having to retrospectively try and fix the problem. And that’s horrific for any business to try and do. Because they can’t change quick enough. You’re going to have to have a month or 2 of less sales. And for me, and especially with the platform that I talk about, which is rapid growth – the word “downturn” doesn’t really fit with rapid growth. So I prefer not to have that happen in my business. GN: Yeah, and I love that, because kind of that constantly being on top of this sounds like an overwhelming, achievable task. But just taking a day out twice a year seems super do-able. And it’s just like, I don’t want to say cheap insurance, but it just keeps you on the right track. And it’s not a tremendous time commitment. Matt: Well most people don’t spend any time on their business whatsoever. I mean, Earl Nightingale has been quoted to say, “Successful people are successful because they know where they’re going.” It’s as simple as that. The underlying message of that is, set goals so you know where you’re heading, and then focus on achieving those goals. The bottom line is, it’s also true for having a unified message, and having a business plan that’s differentiated to everybody else. If you don’t have something that you’re constantly working towards, and then constantly evolving to compete against your audience – then you won’t be successful. Working on your business every 6 months will have a massive effect on the outcomes that you achieve in your business. You’ll have growth after growth after growth, as opposed to growth, detraction, growth, shrinkage, growth, “Ooh, I didn’t see that happening.” And that’s the last thing you want to do. I mean the survival rate of businesses, 95% of businesses go broke within the first 5 years. The ones that survive, Robert Kiyosaki’s been quoted to talk about, “Sometimes you end up entrenched and trapped in a job, because they’re working in their business, not on their business.” So just pushing people to – I would spend a day, you’d spend a day, half a day on goal setting and doing your customer profile. And then the other half of the day looking at what your unified message, your niche marketing is, and the changes that are required in your sales system. And that’s all you really need, and then everything else sort of rolls off that. You change your products slightly, you train your staff – and you have a successful business. And it really only takes about a day every 6 months. GN: Yeah, and I think what you said about having a coach and kind an outside perspective is huge. ‘Cause that could be kinda tricky on your own, but if you have – ideally a coach, but if not at least somebody that’s got a little perspective in cutting you some feedback on what you’re doing and what you see and all that good stuff. Matt: Look, I think a lot of people hide the fact, especially business coaches, hide the fact that they have a coach. And I think it’s nothing to be ashamed of. I mean, I work with a lot of clients, and a lot of them are happy for me to talk about them, and happily talk about me. I used a coach. And the reason for that is, I need somebody to catch me out and call me on things. And especially, and I’m sure you find this with your podcast. A lot of it is telling, and a lot of it is educating others, and sometimes you can get into your own version of group think. Where no fresh ideas come out, and you think that everything you do is wonderful. And without a coach giving you that perspective, you can just miss something, and it can affect your business in an adverse way. And that’s the last thing you want. So even me, I teach business coaches how to be better. However, I still have a business coach that I work with from time to time, on a regular basis – though it’s always scheduled in. That allows me to bounce my ideas off them, to get critique, and to get feedback. And I think that’s why coaching for coaches is such a massive industry. Because a lot of coaches, buddy coach and that sort of thing – and that’s why a lot of coaches are successful. And I think that in a lot of other industries, they don’t know that coaching exists, they think it’s too expensive, and they see it as a cost. And I always say, especially in rapid growth coaching, any coach that can’t pay themselves off within a very short series of sessions, isn’t worth the money you’re paying them. Because they should be able to help you create that unified message and get that success that perhaps you can’t see. And for business coaching, it forces you just to work on your business rather than in your business. And people undervalue how much that’s worth. GN: Well I think a lot of it depends on the coach too, right? A poor coach, and oftentimes a cheap coach is– A guy that charges you 50 bucks an hour and doesn’t get you any results is expensive. A guy that charges you 5 grand a month, but helps you turn your million dollar business into a 5 million dollar business in 3 or 4 years, that guy’s cheap. Matt: Well I don’t find any million dollar business that goes to a $50 an hour business coach for advice. Matt: There’s a reason for that. Exactly right, and this is the thing. A lot of people, when they’re starting a business are trying to cost cut on their advice. And unfortunately that means that the advice that they’re getting perhaps isn’t to the value that they need to get that success. So I always suggest that you – and there are a lot of really good coaches. I’m not using this as an example of why people should work with me. But what I do suggest is that people ask and interview a business coach, and ask about the – not just what they’re saying they can provide, because a lot of people buy franchises, and very similar to what we talked about with the teaching ideology. People go out, they buy a coaching franchise, and they’re coaching and they’ve never done it. So what I suggest is you ask questions like, “What businesses have you run in the past? What successes have you had? How do you make your money outside coaching?” Ask a lot of questions so that you can feel that this business coach is actually going to be a coach that’s going to help you run a business. Not bought a coaching franchise through a retrenchment package, or hasn’t ever run a business before. ‘Cause the last thing you want to do is get advice off somebody that hasn’t run their own business, or has just coached and worked in a big business beforehand. Because the problem with that is that they don’t truly understand what you’re going though, what happens on a daily basis. Because they understand corporate, and now they understand their one man band. So always ask the questions to make sure that that coach has the knowledge and the skill set to help you. The other thing I always say is that sales coaching and business coaching, there are very few people that have both skill sets. So don’t be afraid to have 2 coaches. Or work with 1 coach for a few months to get those solid foundations built. Then work with a rapid growth coach, and then work back with a business coach. Because a lot of times, business coaches won’t tell you this, but if their skill set isn’t sales, I mean, that’s the predominant problem for business coaches, finding customers. 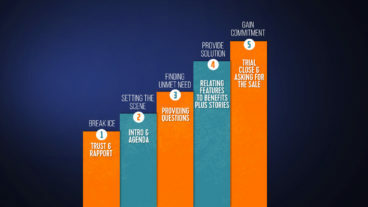 So you want to make sure you’re working with a sales coach when it comes to finding customers for you. GN: Well that works in life, right? You don’t want a fat personal trainer that is – his body’s a mess or her body’s a mess, trying to teach you how to be healthy. You want someone that’s fit 🙂 So same thing, you don’t want a business coach that doesn’t know – maybe he’s read about and kind of heard about and studied coaching, but just hasn’t done the whole, “I’ve been in the trenches, I’ve had to look somebody in the eye and tell them they’re fired. I’ve had to figure out how to make a $30 000 payroll on Friday when it’s Tuesday, and I’ve got $8000 in the account. That’s the guy or gal that you need. So like I couldn’t agree more. Matt: That’s exactly right. Just look at your favorite sports star, I’m sure he gets his nutrition advice from somebody different that’s teaching them how to kick the football or to shoot hoops. GN: Yeah, and you don’t ask your personal trainer how to invest your money. You don’t ask your guy that tells you how to invest your money how to run your business. And you don’t ask your guy that runs your business about spiritual matters, or about how to be a better husband or wife – or whatever the case may be. Matt: Exactly right, which ridiculously in a business coaching perspective is exactly what people do. GN: Yeah I’ve heard that before from coaches I get, they’re like, “Man, a lot of times we end up being psychologists. Which – again, if you need a good psychologist, there’s no shame in that. But find a good psychologist, don’t ask your business coach. He may be phenomenal at business, but the guy might be divorced and drink heavily, you don’t know. Matt: I completely agree with you. I found myself being a psychologist a lot of the time. And that’s why I went out and extensively studied. I’m a master neuro-linguistic programming, because I wanted to be able to assist people. To start though, I was assisting by providing life coaching, external to what I was offering. And then I developed that skill set. I spend tens of thousands of dollars on personal development every year, to make sure that I can provide the right knowledge. But a lot of people, especially starting out – and this is great advice for business coaches. Is focus on 1 thing and don’t be afraid to tell your clients that’s not your core skill, and get in another expert to help out. Because unfortunately, what will happen is 6 months down the track, they’ll say, “Well you’ve been giving me a lot of sales coaching, and my sales haven’t gone up. I’ve got my solid foundations, but my business is still not growing. Where if you work in line with people, you can achieve a lot more success. GN: Even what we talked about earlier, when you said, “Sometimes let your market dictate what you want.” If you’re telling, if you’re selling to your customers, “Hey I can help grow your business,” but you find 80% of your customers need help getting their life together. I like that you said, “So I went out and I learned how to do that.” And hopefully you kind of integrated that somewhat into your marketing, going, “Hey, I don’t just help grow your business, but I make sure your life’s in check.” Because that’s apparently what your customers are telling you they wanted. Matt: That’s a really good point to make actually. So I call myself “The Rapid Growth Guy,” and I focus on niche marketing sales systematization and differentiation. I also do life coaching, I’m a master practitioner in neuro-linguistic programming, I also got “The Better Business Coach Podcast,” which is all about creating those solid foundations of a business. Because as a rapid growth person, if I put rapid growth into a business that’s got 10% complaints, acquisition issues, product manufacturer issues – and all of a sudden we get 10x growth, we’ve got 10 times all of those problems as well. So I found myself coaching businesses on how to get the solid foundations. So I, later down the track had that as well. Yet my unique message that I give to everybody is that I focus on rapid growth. So even though I do a lot of things, and this can become very cloudy and very confused to a lot of people. Because everybody says, “I’ve got to create one message.” I want to do a lot of things. I want to focus on teaching people so many different things. I want to tell the world about everything that I can offer them. And a lot of the time, that’s not the key. The key is giving somebody an entry point. See, you’ve probably spent a lifetime learning these skill sets. In 5 minutes, if you’re doing an elevator pitch – which I talk about in session 2 of my “Better Business Coach Podcast.” Or if you’re trying to talk in a casual conversation about what you do, people can’t understand your 10 years of experience in the 2 minutes that you spend talking about it. So focus on educating them on the first entry point, the one unique thing that you can do for them straightaway. And then, later down the track, for instance I work with people on rapid growth. Later down the track, I’m like, “Okay well, I know that we’re creating rapid growth here, however we need to fix these business problems real quick. So I need you to do my “Solid Foundations” program. And then I transition into, “Okay so I can see that your management of time is all over the place. And as a result of that, you’re getting unneeded stress. So let’s do some personal development about the stress, what’s happening in your life, get a better idea of the problems that are happening – and start working on that. Yet everything that I talk about at the start is 1 unified message. Because I don’t want to confuse it, I don’t want to over complicate it. I want people to understand it, identify with it, and rally to it. GN: Fantastic, and on that note Matthew, I’ve got to say you’ve absolutely buried us in Genius. You’ve talked fast, you’ve got a good accent, you’ve got good stuff to say. I really appreciate you being so generous with your time. That said, I appreciate you. Genius Nation appreciates you.